Foreword: This document has been transcribed from the non-anomalous portion of SCP-1780-3, first recovered from SCP-1780-1 on 08/06/1993. Analysis of the paper, letterhead, type face, and radio-isotope watermarking remains inconclusive. 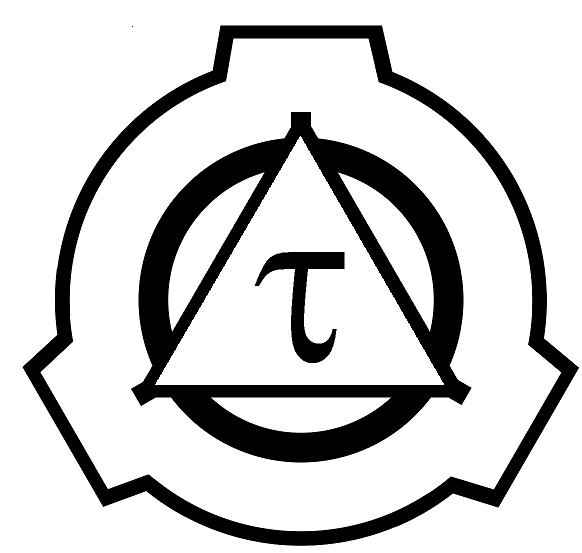 It is the opinion of the SCP-1780 research team that the article is either genuinely produced by some alternate version of the Foundation or a forgery requiring a Σ level security breach to duplicate. Investigation into both leading hypotheses is ongoing. All Level 4 staff are advised to report mentions of the name Thaddeus or 'Thad' Xyank among lower security personnel to the HMCL Supervisor of SCP-1780 (Currently Dr. Iliza Schrader) as soon as possible, as this may indicate infiltration of SCP-1780-2a. Thank you for your interest in Temporal Anomalies, and good luck to you that you’ve managed to receive a copy of this letter. It is my understanding that of the plurality of timelines in which the Foundation or an analogous organization has come to pass, only about a dozen of these includes a department specifically for the handling of temporal anomalies, and only three known timelines have authorized the targeted application of temporal displacement as a containment strategy. My sincerest congratulations to you for seeing the value in this assignment, especially with the understanding that possession of this letter is grounds for termination or indefinite confinement in 9/10 destination causalities. You have undertaken a grave risk by accepting this appointment. Thank you for that. So let’s start with the basic premise that everything you know about temporal dynamics is fundamentally flawed. Despite what even I might tell you, Paradoxes Do Exist. Loosely defined, a temporal paradox is any situation arising from an interruption in an ordered sequence of events which requires that two contradictory outcomes be held as true by the universe simultaneously. Up until the time of this writing, it was believed by most researchers that such an event would necessarily require the destruction of one or both timelines, the planet Earth, our local Light-Cone, or… well, you get the idea. XK-Class ‘or bust’, as it were. The truth, thankfully, is very much more subtle than that. Rather than creating an entirely new universe (these may or may not suffer from the same loss of temporal fidelity as our own), paradoxes split causality into several distinct ‘branches’. Of course, this is a gross oversimplification, due to the chaotic nature of time in the first place. Suffice it to say, we’re closer to a ‘Copenhagen’ universe than a ‘Many Worlds’ universe. I am both writing this letter and not writing this letter. You are both reading it and not reading it. The two sequences of events take up precisely the same space, and no additional spaces. What they do take up, however, is different ‘frames’ of time, and these separate but simultaneous ‘bulk’ causalities are maintained by the ‘brain’ causality of their collective inhabitants. Time is not only a physical phenomenon but a mental one as well. Minds create and maintain a low-power tachyon flux as a byproduct of sensory perception. In order to act meaningfully in the present with the information available from the senses streaming in continuously from the past, the mind must be able to base its reactions on several possible futures. This structure forms the fundamental self-referential loop at the heart of cognition, and as a result, not only do ‘bulk’ causalities form due to billions of minds interacting in concert, but each of these minds creates an independent ‘brain’ causality in which its body’s state is defined. This is the mechanism by which a man can travel through the past and kill his own grandfather, without breaking the universe; the man carries his own ‘temporal sink’ with him, and validates his own existence. This department can exist, and navigation between various ‘bulk’ causalities remains possible because of this temporal sink. Each person carries their own history with them, and that personal history also represents a navigable causality. What then, is the mission of Research and Containment Team Δt (or ‘delta-tee’ for short)? There are several, which include need of Research Doctors and assistants, trained Agents, Mobile Task Force members, and Containment Security specialists. Where possible: the elimination of tangential, secant, looping, parallel, and perpendicular causalities by forcing a reset of their initiating condition. Assuring that certain events responsible for our own existence and the existence of the Foundation as a whole come to pass as recorded. Extensive recovery efforts for lost and stolen SCP objects. Whichever of these missions you deign to attempt will require advanced understanding of several temporal anomalies, their boundary conditions, and their use as agents for temporal displacement. Certain missions may also require knowledge of cultural development and linguistics, as well as a few theories of predictive history. If you require access to materials in these fields, or require time to study prior to your first deployment, accommodations can be made. If the above explanation seems to you confusing, counter intuitive, or impossible in some way, then good. Realizing the incomprehensibility and inconsistency of temporal anomalies is the first step to understanding their use. Please see the back of this document for more information regarding temporal displacement and a test exercise to get you started. Remember: you are embarking on a journey upon which mankind was, arguably, never meant to embark. But we will have started now, and in order to mitigate the damage which has already been done to every history in our universe, the only way is forward. We must Secure the past. We can Contain the present. We will Protect the future. Thank you again, and good luck. By whatever gods still live, you’ll need it.